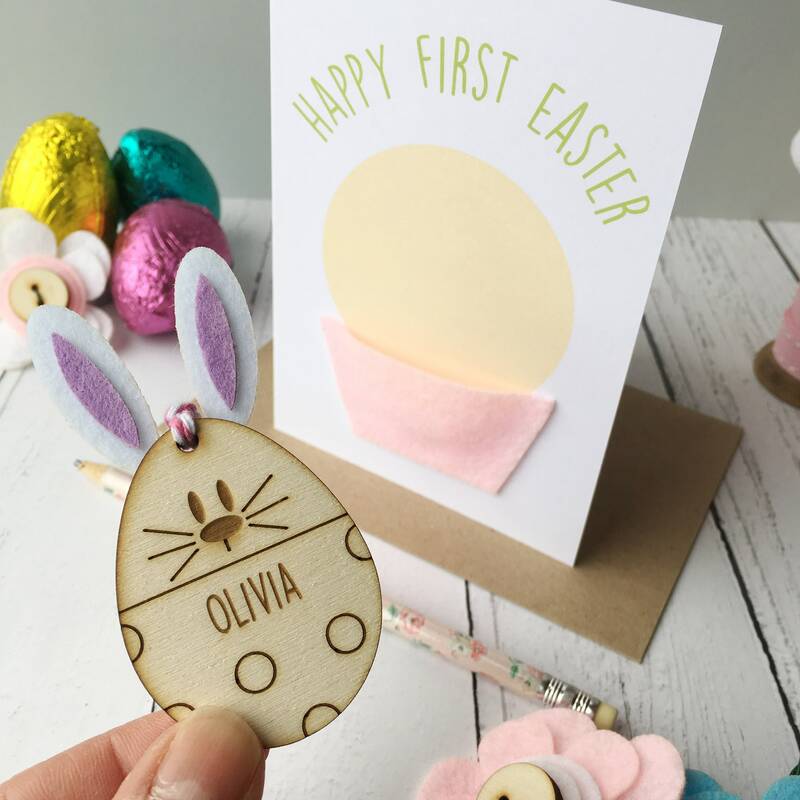 A beautiful personalised handmade Baby's First Easter card and keepsake ornament. 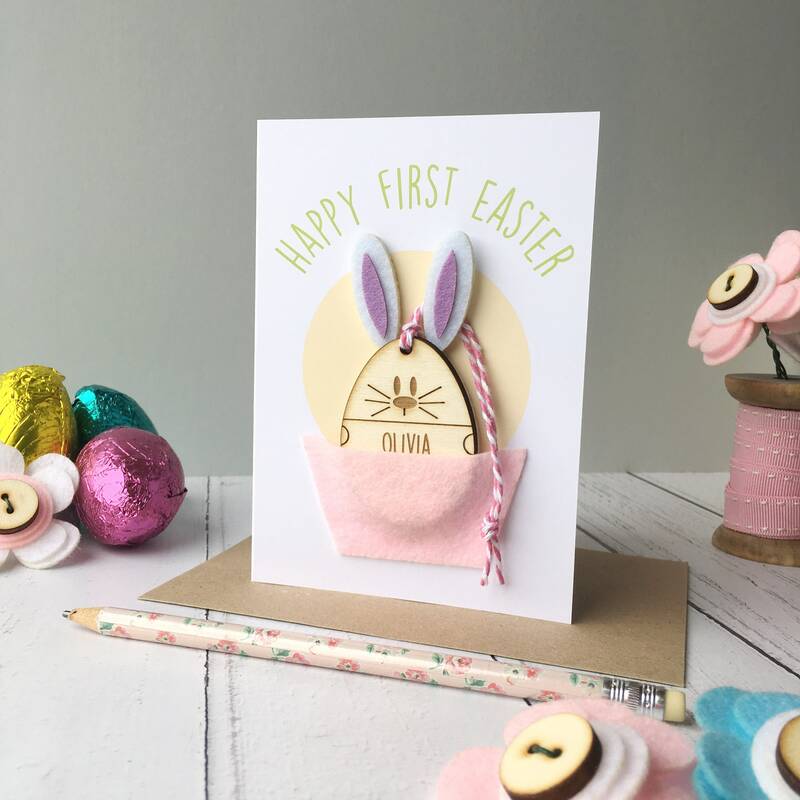 The card is printed with the message "Happy First Easter". 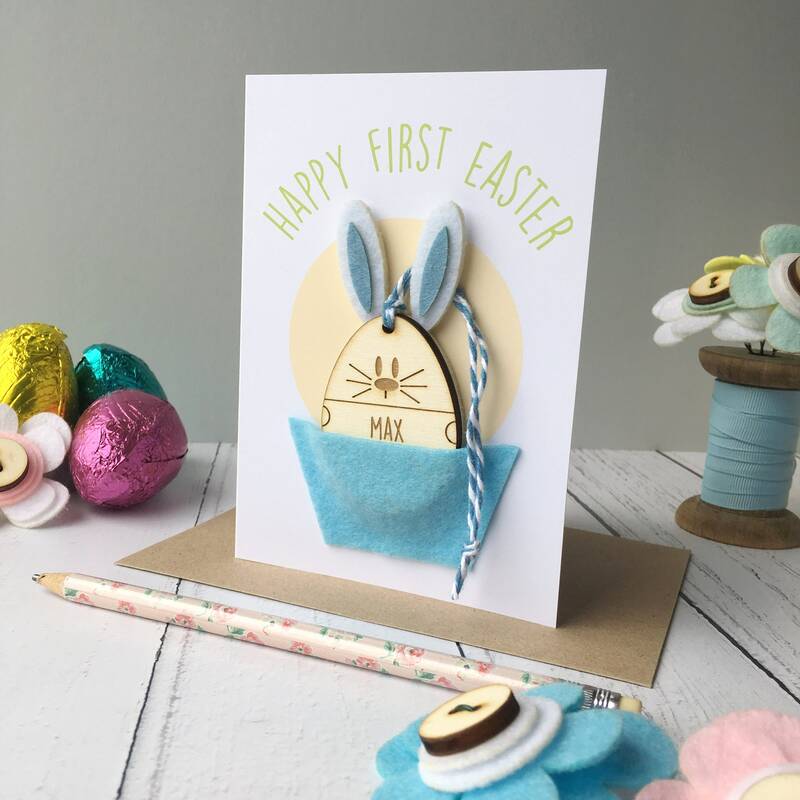 Attached to the card is a felt egg cup in pink or blue. 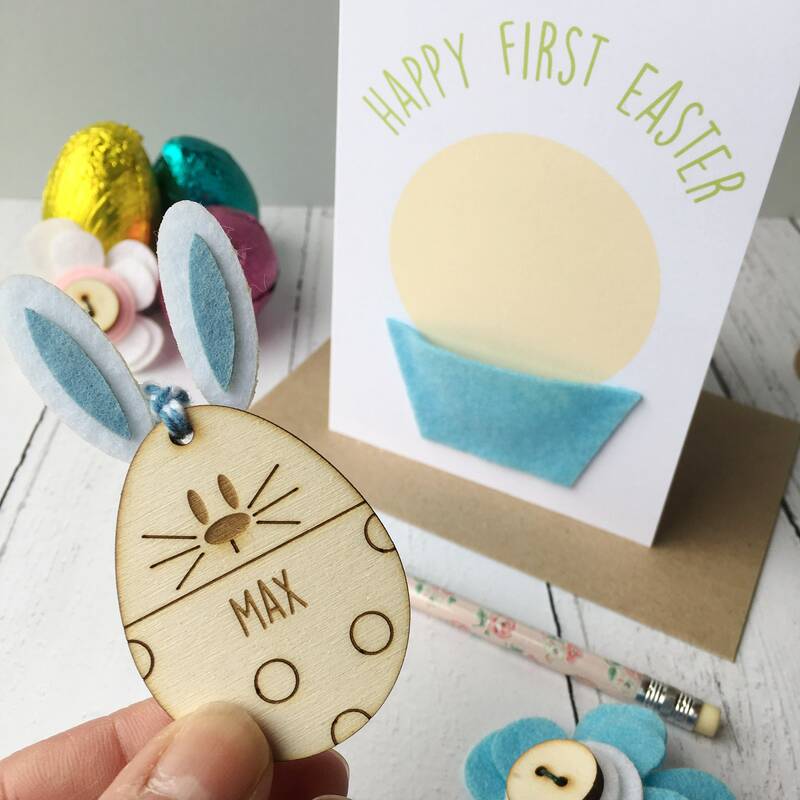 In the egg cup sits a sweet wooden rabbit egg keepsake decoration. 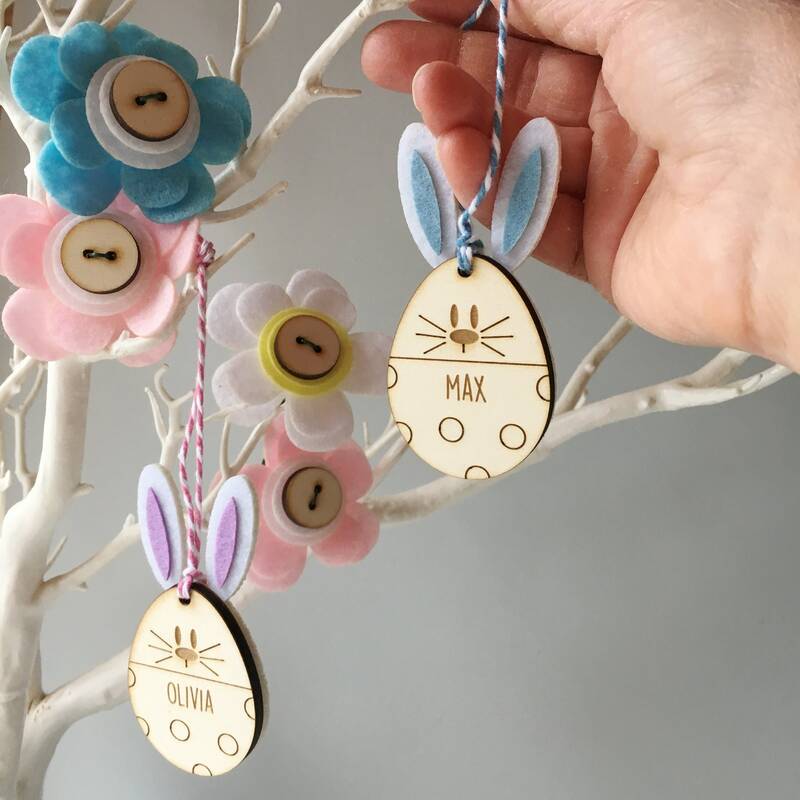 The rabbit has cute felt ears and is hung with bakers twine. 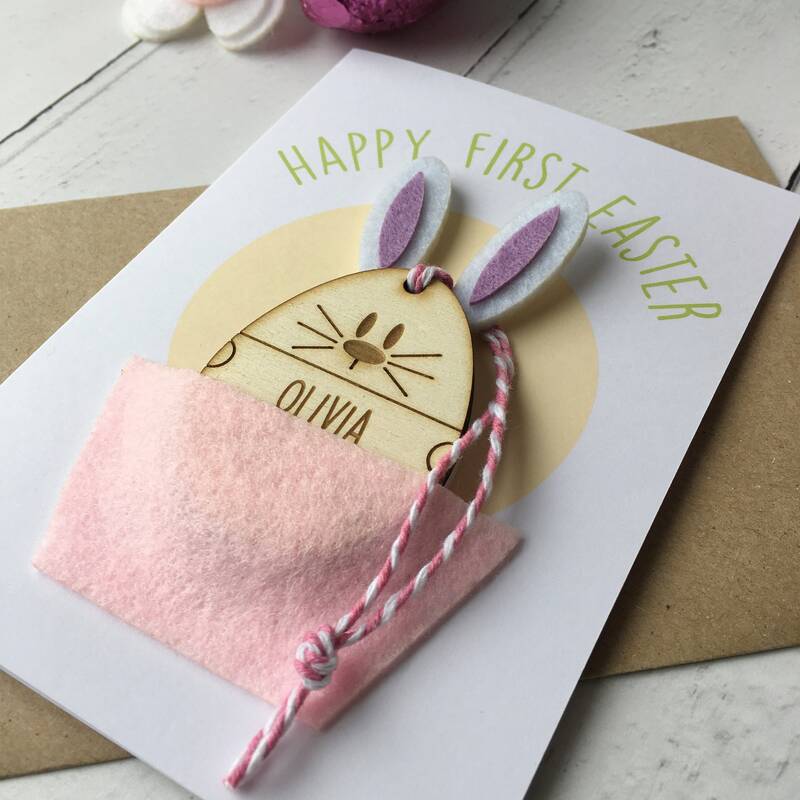 To make it extra special the rabbit can be personalised with a name. 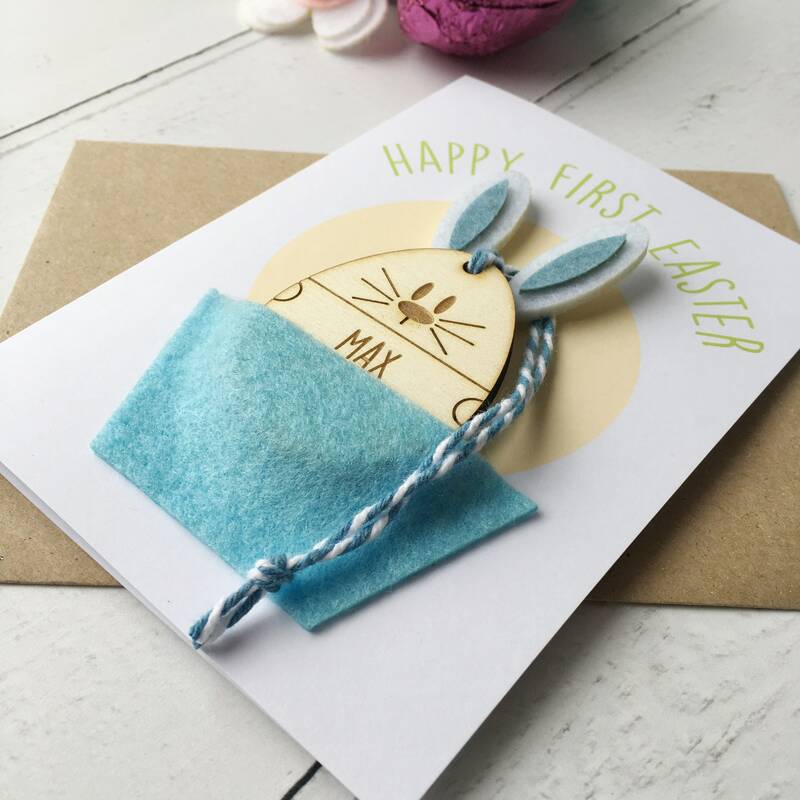 Each card comes with a kraft envelope and is supplied in a clear packet to protect it. Love, love, love this card. All of the items in this shop are absolutely charming. Great quality. Seller is very helpful. Fast shipping.